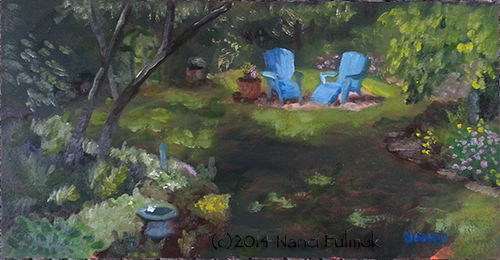 I was asked to be the guest artist at the Hudson Garden Tour last weekend. A fundraiser from the Womens club to raise money for the plants on main street downtown Hudson, WI. Just Finished a commissioned cat portrait of Nala. Photo of art coming soon. I am officially a Person/ horse/ dog / cat portrait artist! So what do you do when you love cat more than anything???? You hire ME to paint them. Why not preserve the memories of the ones you love? 2 and 4 legged. After my brothers wedding which was decorated in a fall theme. I asked if I could paint the left over gourds. Here is the cutest one! Cats. With my allergies, who would have ever thought I would paint cats? Well, here is the first one! A surprise christmas gift! Normally I like to spend time with the animal, but all I could work off of was a snapshot from a cell phone camera. Glad I made it work! feww! Now just waiting for the gift to be given! After my brothers wedding which was decorated in a fall theme. I asked if I could paint the left over gourds. Here is the second one! I have never seen a gourd like this, but doesn’t it look more like a caramel apple??? Took up the challenge of painting a horse all in one sitting with only one brush. A large size 8! Very fun, and challenging to try to stop my cravings for smaller brushes and more detail.